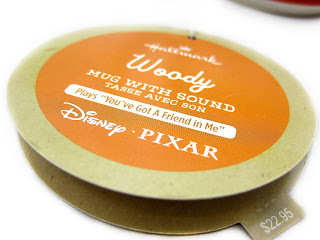 As part of last fall's initial line of Hallmark exclusive Pixar decorative products, here we have one I was looking forward to getting for quite some time- the Toy Story Woody mug with sound! This very cool ceramic mug plays a 15 second version of the film's iconic "You've Got a Friend in Me" when the hat is removed. The size of the mug 5.125" W x 6" H x 3.5" D and retails for $22.95. 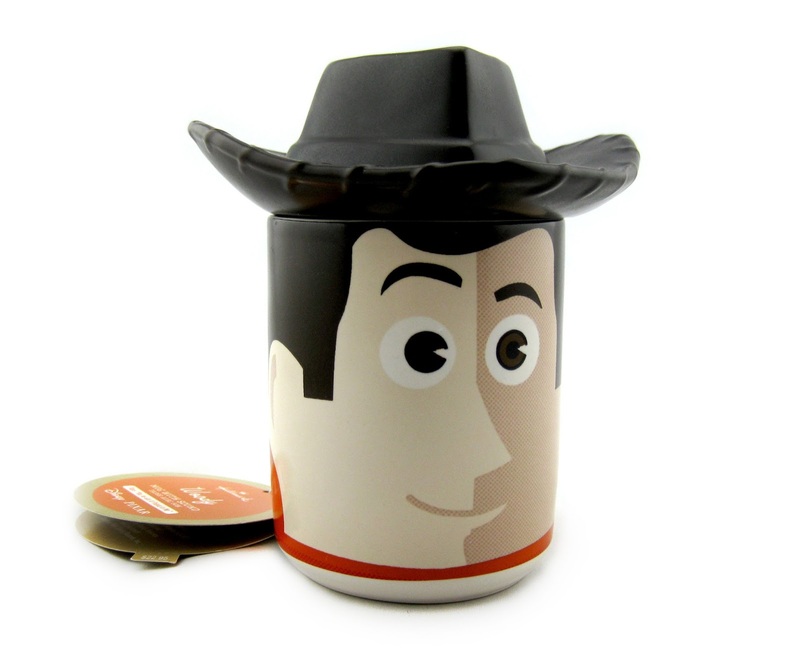 You really can't go wrong with this one if you're any type of Toy Story fan and/or collector. 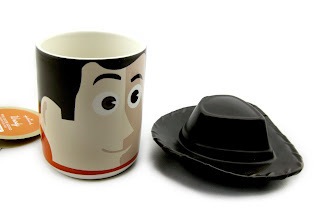 It's a real solid product with a great design and a fun feature! Highly recommended. The only problem I could possibly see with this is that it says it includes "nonreplaceable" batteries. To me, that means once they run out, it's done for good. I hope it lasts a long time! 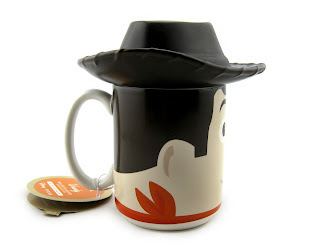 If you're looking to add this mug to your collection, be sure to check out your local Hallmark or their website HERE.